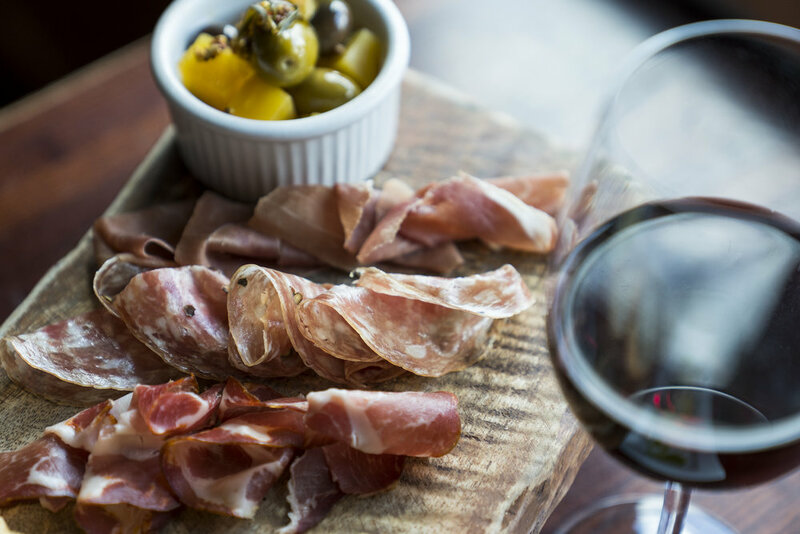 Located in the Rosedale neighborhood of north-central Austin, Gusto Italian Kitchen + Wine Bar captures the warm, comforting, every-day flavors of Italian cuisine in its casual and diverse menu. Dishes range from house-made antipasti to hand-formed pizzas, salads, pressed panini, fresh pasta, entrees featuring Texas farm raised meats, and scratch desserts. The funky, inviting design by architect Robert Smith incorporates rich colors with Italian stencil “graffiti” art by local artist Federico Archuleta. At the center - a long, mirrored bar featuring boutique family owned & estate-grown wines from Italy and around the world, craft cocktails, beers on tap and by the bottle, and fair-trade Italian roast espresso drinks. A local, neighborhood restaurant at its core, Gusto invites all to drink, to taste, and to enjoy! From house-made antipasti and hand-formed pizzas to fresh pastas and scratch desserts, our dishes feature fresh ingredients sourced from local and regional Texas farms. Sign up to learn about special events at Gusto. Opt out at any time; simply unsubscribe.